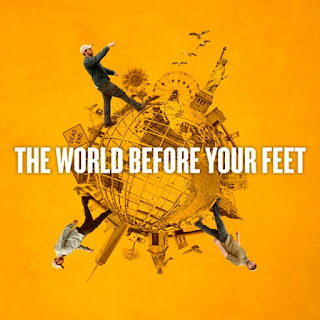 The World Before Your Feet is my favorite film of the year thus far. It is billed as a documentary, but it doesn’t feel like one. It’s more like a life-affirming journey with an OCD eccentric. Meet Matt Green, Virginia-born and now in his thirties. He lives in New York City, if we stretch the usual definition of “lives.” He’s a former engineer who had his midlife crisis early and walked away from a high-paying career because he couldn’t stand the idea of spending his life behind a desk. His response was, shall we say, unique. In 2010, he was living near Rockaway Beach in Queens, noted there was also a Rockaway Beach in Oregon, and decided to walk the 3,000 miles from the former to the latter. It took five months. It was great training for his next project: walking every block of New York City’s five boroughs. That venture took six years and covered more than 8,000 miles! Green is affable and curious about everything. Depending on your point of view, he’s either an urban Henry David Thoreau or a bigger slacker than the Great Lebowski. He divested himself of all worldly goods that he couldn’t easily stow at wherever he was sleeping at the time. Green called upon friends, met people on his walks, did house sitting, pet care, and odd jobs, but he had no apartment or permanent base of any sort. Most days he spent $15 or less on food and essentials, though presumably he drew upon vaguely referenced savings to pay for his iPhone service. Each night, Green mapped out the next day's walk, which he wrote out on a piece of paper so he could keep his phone camera at the ready. It’s safe to say you’ll never think of the Big Apple the same way after seeing this film. Green walked every day, even during the 2016 blizzard that dumped more than two feet of white stuff on Gotham. (He “only” did 8 miles that day!) Green takes us all over the city, though the film concentrates mostly on lesser-known parts of the city, such as abandoned shoreline streets on Staten Island and neighborhoods far from where tourists tread. As another interviewed walker notes, though, most of New York is undiscovered, even by those who claim to “know” a particular part of the city. After all, most of us travel the same corridors in our everyday lives and can easily be surprised by something just a block or two from our normal journeys. It’s unclear exactly when director Jerry Workman got involved in filming Green, but it’s a daunting task to squeeze six years into 95 minutes of film. Doing so requires that one take a selective and episodic approach. We see Green walking streets all over the city, but Workman concentrates on a few themes. For example, Green reveals a series of “churchagogues,” former synagogues repurposed as street churches because Jews long ago moved out of a particular neighborhood. He also shows us the oldest tree in New York, impromptu 9/11 memorials, and the unmarked sites of where Malcolm X was murdered and where Margaret Sanger ran the first family planning clinic in America. For reasons that simply amuse him, Green is drawn to store names that replace the normal “s” with a “z,” as in hair cutz. Mostly the film is about some of the people Green encounters. As Jamaican immigrant and poet Garnette Cadogan reminds us, it’s easier for Green to walk New York unaccosted than for a black man such as himself. It is nonetheless noteworthy that Green was never mugged, was often welcomed by complete strangers, and generated good-natured curiosity wherever he went. I suppose it helps when there’s a camera on the scene–not to mention various write-ups and news reports–but I doubt Workman’s camera there every day and every step. In many ways, this film is a love letter to the Five Boroughs. I’m not saying everyone could march across any part of New York at any time of the day without getting into sticky situations, but there is much to be said about connecting with people as people and not as categories. Call it karma f you will, but Green got back mostly what he put out: a love of history, the environment, the city, and humankind. Green is no saint and he’s certainly not cut from domesticated cloth, as two former girlfriends attest. As both he and Workman remind us, though, tomorrow isn’t guaranteed. I found myself thinking of Thoreau’s assertion that he, “wished to live deliberately, to front only the essential facts of life, and see if I could not learn what it had to teach, and not, when I came to die, discover that I had not lived.” Thoreau went to the woods; Matt Green went to the Bronx and beyond. This gem of a documentary is the most life-affirming thing I have encountered in quite some time. This one made it to me at the end of the summer, but got thrown into an "Unknown" MP3 file because it wasn't coded properly. Let me correct this oversight (not mine) by starting the year off right and declaring their album Wings as my favorite album of the month. The band's name derives from the fact that this is a family band in all those 21st century ways. It is anchored by two award-winning singer-songwriters, Mitch Barnette and Carla Gover, who began as a husband/wife duo, got divorced, sorted out some stuff, and rekindled their musical partnership. The current project includes one of their daughters, the band's (semi-) namesake Zoey, a wonderful fiddler and harmony singer who also dabbles in other instruments. There's also her fiancé Arlo Barrett, who plays guitar and everything else under the sun, plus standup bass player Owen Reynolds. 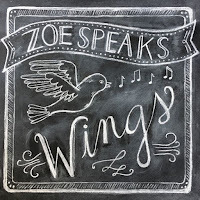 Wings is a magical blend of folk, Americana, country, gospel-influences, and old-time mountain music that comes at you with flavorings from lots of people you know, though their sound is uniquely their own. I don't think there's song on the album that I found less than top drawer and several that were so sweet they made me weep. Most of the latter are those in which Ms. Gover is in the lead. "Wings of a Dove" is one such offering. There's a small catch in Gover's voice, lovely backing harmonies, and a gentle sway that's indicative of how Zoey Speaks knocks you over with quiet power. Also in that serene yet expressive mode is "Cheat the Blues" with its expert phrasing and its invitation to "take your shoes off" and get back to the things that matter. When she wishes, though, Gover can go full cowgirl, as on "Give Me Some Sugar," which is equal parts Dolly Parton and Patsy Montana. "There's a Hole in Your Soul's Supposed to Be" has a gospel feel, which Gover picked up from her grandmother who used to sing a cappella hymns. She even nails a traditional children's song, "Paper of Pins," as if she's the offspring of Jean Ritchie. Or maybe it's John Hartford, whose style is evoked in the banjo-led and mandolin-enhanced "That's What Dreamers Do." If all this isn't enough, Gover is also a flatfoot dancer. Barnette is a fine singer in his own right. He's usually front and center when the band veers in unexpected directions. "The Earth Has Had Enough" is self explanatory in theme and in its folk activist sentiments, but the tune is adorned with cadences that evoke reggae. "Black Feather" has a pastoral bluegrass feel, courtesy of gliding flute accompaniment. He dusts off his pained vocals for "Bluebird," an acoustic mountain blues song about plans gone wrong. I also enjoyed his self-deprecating humor. "One Foot," is a slice of Steve Goodman-like wry commentary on a total screw-up who vows to do better. Barnette throws us a curve by shifting into storyteller mode; his spoke word observations about a documentary on the aftermath of Hurricane Katrina serve to take us to the song's punch line: "When you don't know what to do, you do what you can." I'd be remiss were I not also to say that these folks are also involved in all manner of good deeds in Kentucky–from work with cultural groups to working in schools. My discovery of this gem of an album gives truth to the old proverb "better late than never." 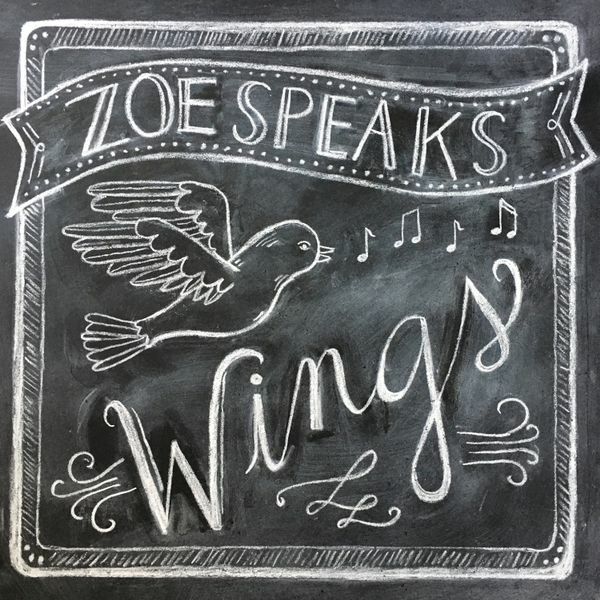 Like that old saw from Chaucer, Zoe Speaks gives us things that are both time-tested and timeless. Ansel Adams Show at MFA is Glorious!